This week is fire prevention week. 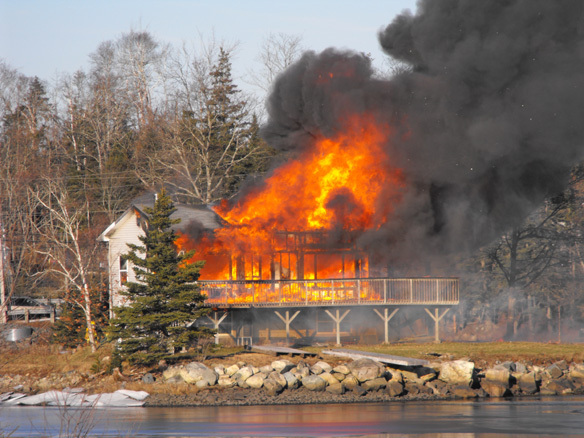 The House Plan Shop has some safety tips to share with you helping to protect you, your family, your home and your pets from potential. Be smart and follow fire prevention practices. 1. Install and Maintain Smoke Detectors: Smoke detectors are an important tool in helping save lives in home fires. Install them on every floor of your home and right outside the sleeping areas. Install the smoke detectors according to the manufacturer’s directions and test them on a weekly basis. Batteries should be replaced two times a year. A good rule of thumb is to replace batteries when daylight savings time begins and ends (each time you set your clocks back or forward one hour.) Also replace batteries when the smoke detector chirps signaling the battery is dead. Never remove batteries from the detectors or disconnect them. 2. Create an Escape Plan for Your Family and Practice: When a fire breaks out in your home it is necessary to get out fast. Spend time with the entire family planning two ways to get out of every room in the event of a home fire. Decide on a meeting place outside of the home whether it is a neighbor’s driveway or the bus stop on the corner and instruct the entire family to meet at the designated place should a home fire occur. Once you are out of the house, DO NOT go back inside. Practice your escape plan with the whole family at least twice a year. 3. Get a Fire Extinguisher and Know How to Use It: Purchase a fire extinguisher for home use and learn how to use it. Follow the manufacturer’s instructions. Sometimes, in the event of a small fire, having and using a fire extinguisher can make a huge difference in saving your home and belongings until the fire department arrives. (Note: Do not expect a fire extinguisher to put out large house fires. Instead, exit the building immediately and wait for the fire department.) 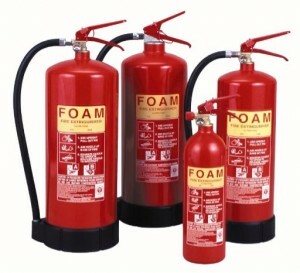 If you have a large house with multiple levels, you might consider having a fire extinguisher on each level. Put it/them in places that are easy to access but out of reach of small children. 4. Know and Practice the STOP, DROP and ROLL Rule: This is a simple rule even small children can learn. If your clothes or body catch on fire, do not run. Stop where you are, drop to the floor and roll over and over to smother the flames. Cover your face with your hands to protect it and help prevent smoke inhalation or lung damage. 5. Crawl Low Below Smoke: If you should encounter smoke using your primary exit route in the event of a fire, use your alternate route instead. If you must move through smoke to exit, get down on your hands and knees and crawl to the exit. Clean air will be several inches off the floor. Following these fire safety practices will increase your chances of escaping death or injury in a fire. 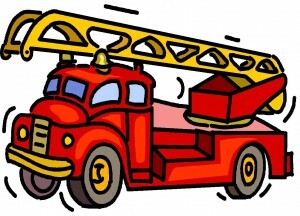 Look for more information about fire safety and prevention in another upcoming blog.